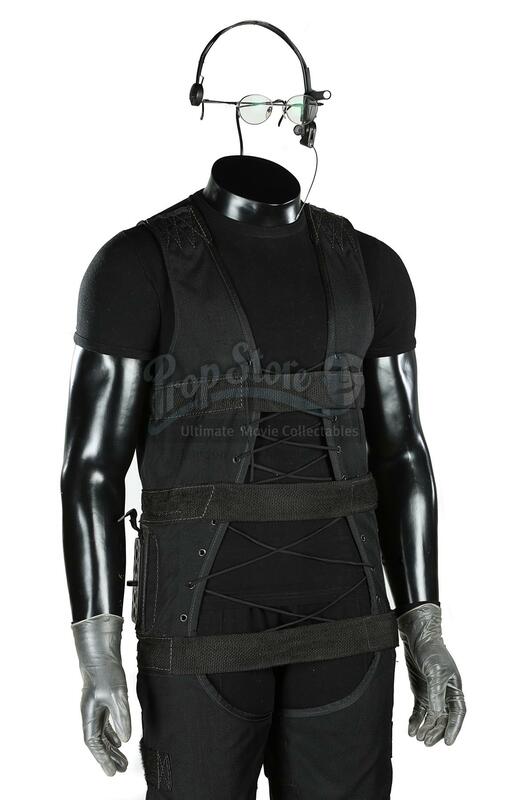 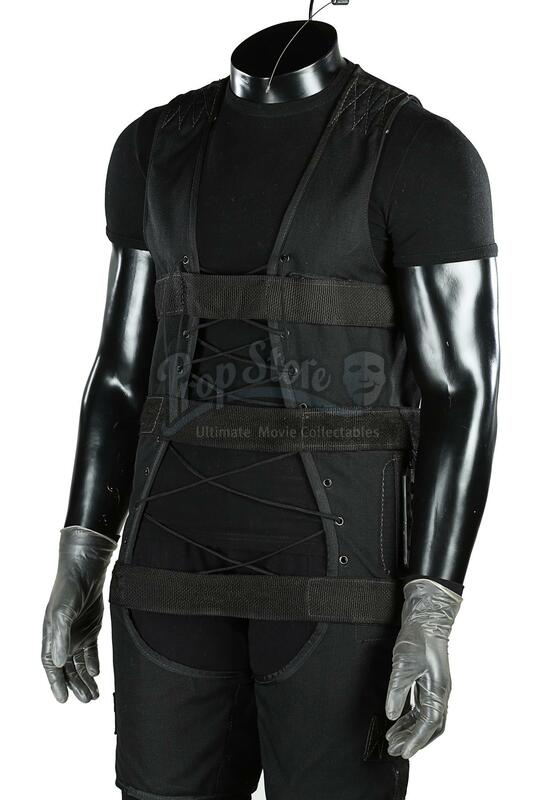 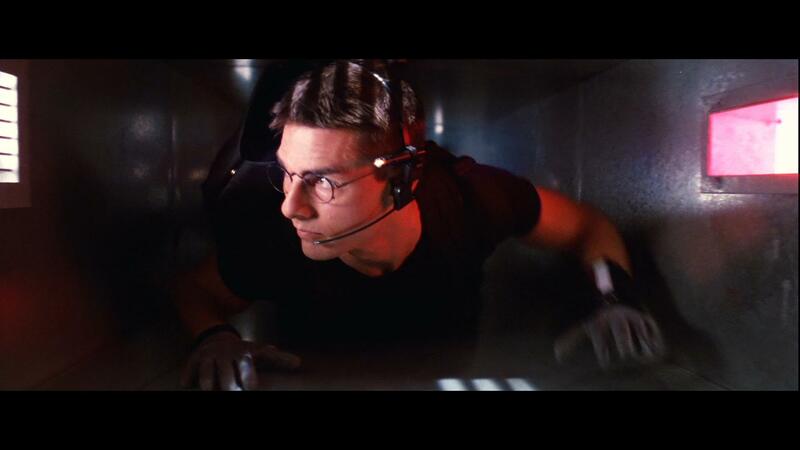 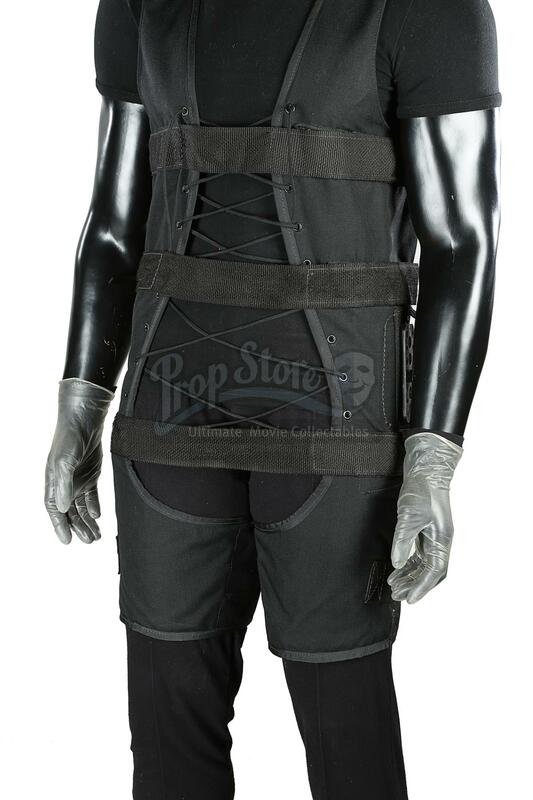 Ethan Hunt's (Tom Cruise) suspension outfit from Brian De Palma's action film Mission: Impossible. 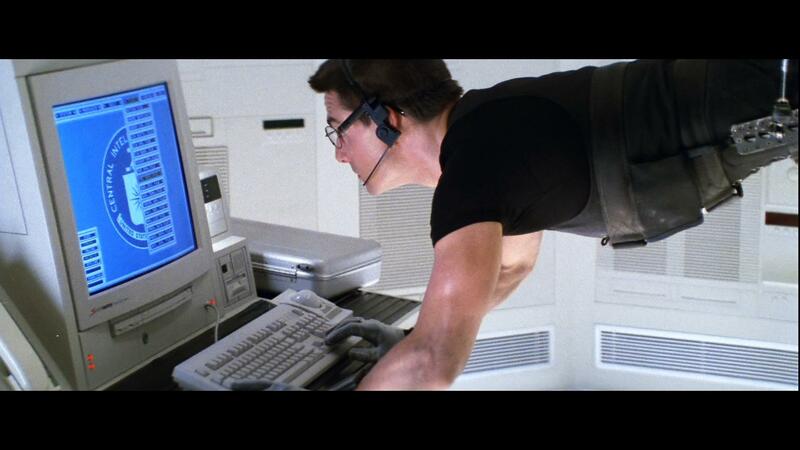 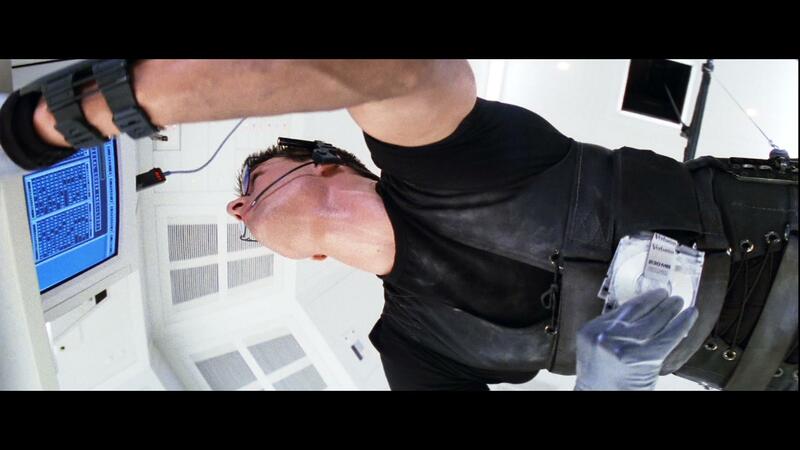 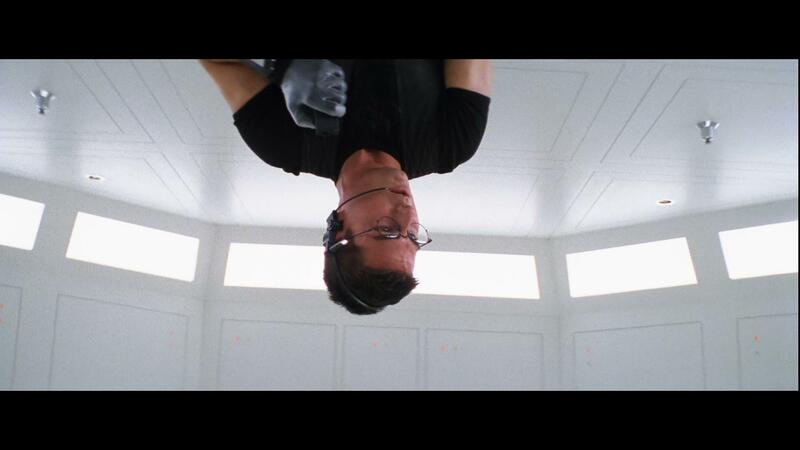 Ethan wore his special suspension rig for the unforgettable CIA vault scene, in which Ethan and his team attempted to steal the NOC list using a terminal that was only accessible from a ceiling heating duct. 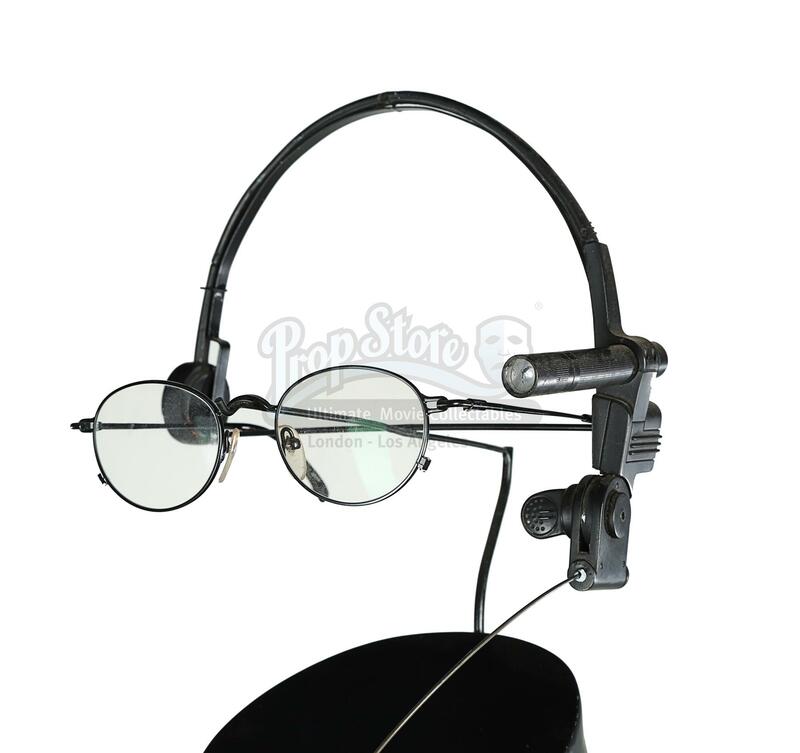 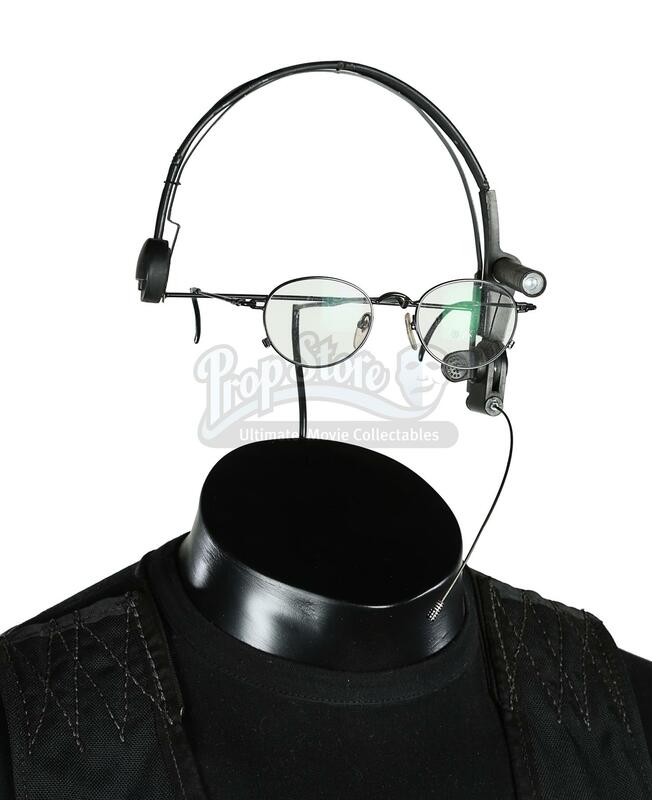 black synthetic gloves, a pair of transparent surgical gloves, a pair of black-rimmed glasses and a communicator headset complete the outfit.